Besides offering an extensive collection of affordable furnishings, we also want to be your go-to authority for stylish pieces. This digital glossary was created to help you get better acquainted with the variety of terms used to describe products on our site. The more information we can provide, the more confident you’ll feel about choosing furniture for your home. Backorder: Items on a purchase order with insufficient inventory to satisfy demand. Bolster: A long, often cylindrical, cushion or pillow for a bed, sofa, etc. 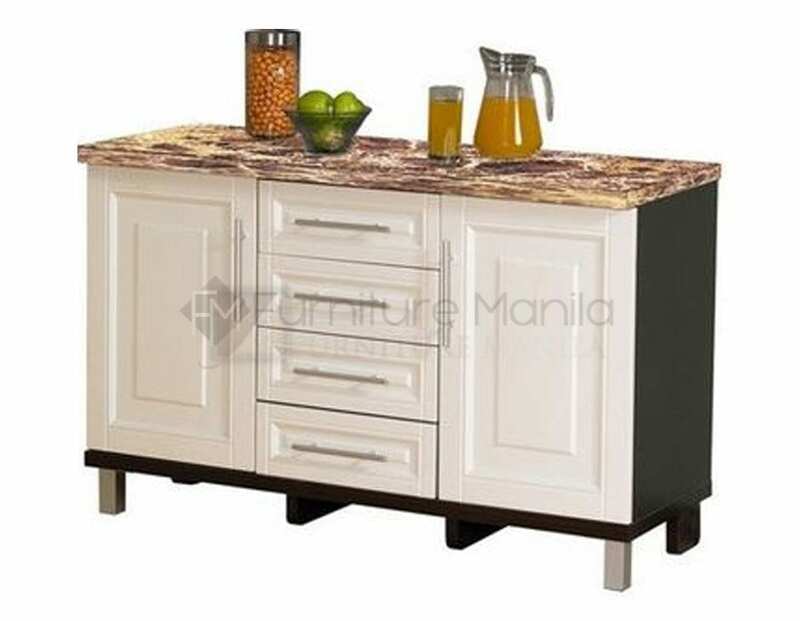 Cabinet furniture: Generic name given to storage furniture. Camel back: Used to describe furniture with a curve like a camel’s hump along its back. Chaise Lounge: An upholstered settee with an arm at one end and a back that tapers down to seating level. China Cabinet: A cabinet with a glass front and typically sits on a buffet or shallow cupboard. Coffee Table: A long, low table used in front of a sofa. Also called a cocktail table and center table. Complementary colors: Colors that are opposite each other on the color wheel (i.e. blue and orange). Couch: Also called a sofa; it is an upholstered seat typically for more than one person. Curio Cabinet: An enclosed glass cabinet for displaying a variety of products such as glassware and other collectibles. Sometimes simply called a curio. 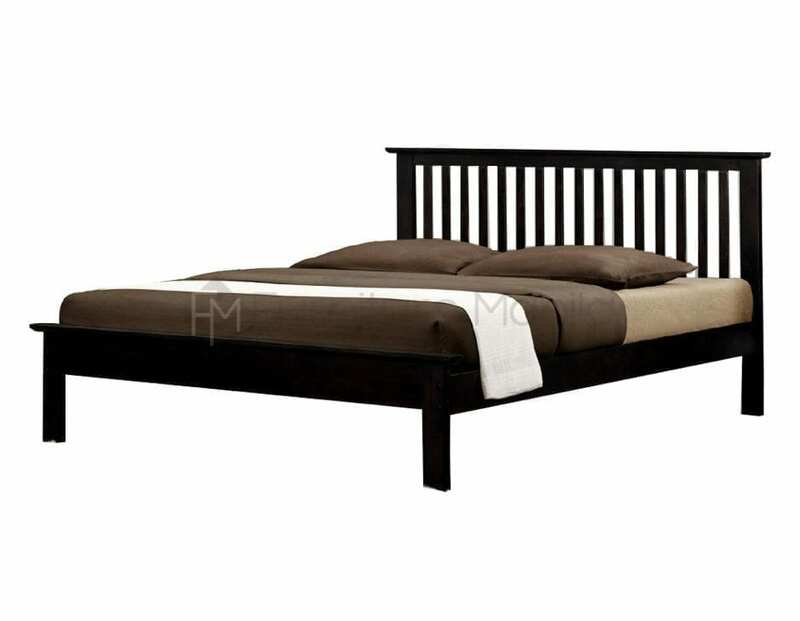 Daybed: Similar to a bed but narrower and with a padded seat back at one end for leaning against. Dinette: Small-scaled dining furniture with a table and four to six chairs designed for kitchen use, but also used in small dining areas. Drawer Guide/Slide: These strips of wood or metal are placed under the center or on the outside of drawers to serve as a track on which they are drawn back and forth. Dresser/Dressing table: An item of bedroom furniture consisting of a low table with drawers, usually with a kneehole and frequently having a mirror attached to the top. 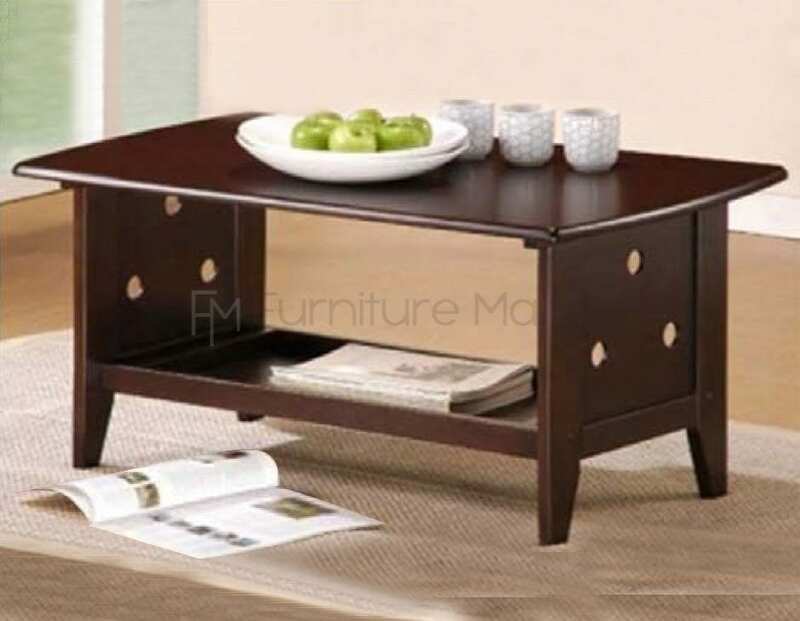 End Table: Small side table that may be used at the end of a sofa or beside a chair. Engineered Wood:Any restructured composite of wood, including oriented strand board, particleboard, and plywood. 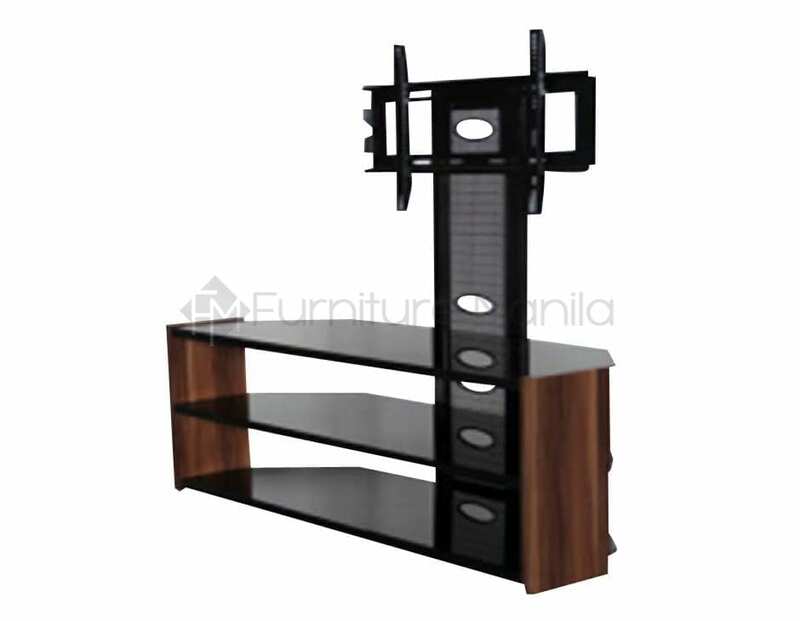 Etagere: A free standing open cabinet having several shelves used for display purposes. Faux: Literally French for “fake”, this term is used to describe things that appear to be of one material or finish, but in fact are not. An example is faux books where bookends are used to create the effect of a real library. Fiberfill: A soft, synthetic material used as cushioning in upholstered furniture, bedding, and comforters. Polyester fibers are most commonly used. Fiddle back: A back splat shaped like a violin, common in Windsor chairs. Finial: A small carved or turned ornament used to provide a decorative finish to a tall vertical piece such as a long case clock or bedpost. Finish: A treatment that is applied to wood to protect the surface and to make it more durable and resistant to stains and burns, to accentuate the natural grain, to lighten or deepen the color, to make a dull or glossy surface, or to change the color completely as by painting, lacquering, polishing, antiquing, distressing, etc. 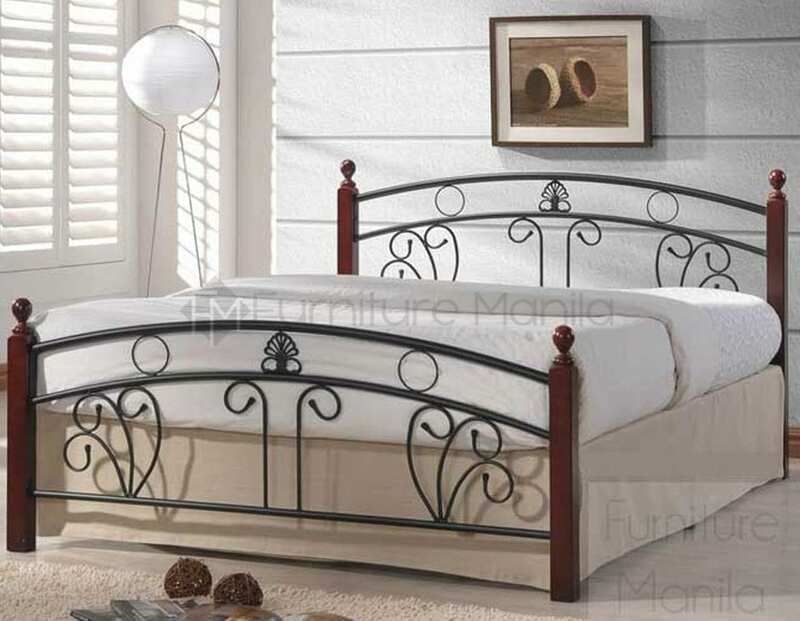 Footboard: A supporting piece at the foot end of a bed, sometimes decorative. Frame: The supporting structure of a piece of furniture. Fretwork: Interlaced ornamental woodwork, usually in a complicated repeating, geometric pattern. This is often used in backs of chairs, beds, in china cabinet doors, or on table aprons and legs. 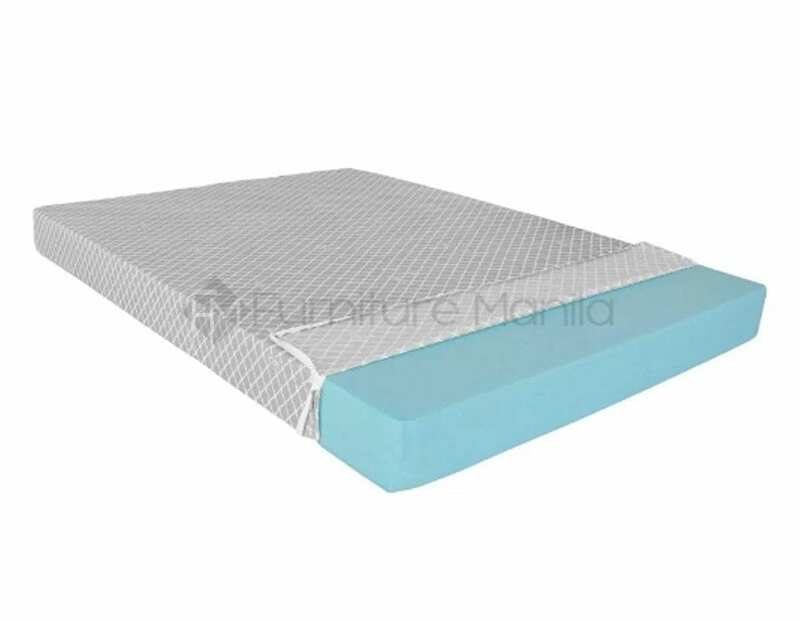 Futon: A folded mattress on a frame that can be folded up for seating or down to form a sleeping surface. Gate Leg Table: A drop-leaf table whose leaves are supported by extra legs that swing outwards like gates. Grain: Variations in color and texture made by the size and arrangements of cells and pores of a living tree and is revealed when wood is cut through the trunk in an essentially horizontal direction. Grommet: A plastic, metal, or rubber ring that is inserted into a hole made through another material. They may be used to reinforce the hole, to shield something from the sharp edges of the hole, or both. Hardware: A generic term used to describe any metal fitting that goes onto furniture i.e., handles, locks, hinges, escutcheons, etc. Harmony: The feeling created when tools are used together to provide a look that is pulled together. Hardwood: A general term for the lumber of broad-leafed or deciduous trees in contrast to evergreen or coniferous trees, which are termed softwoods. Headboard: A panel rising above mattress at the head of the bed. Often supports the bed rails. Innerspring Mattress: A mattress with a center core of springs for buoyancy and resilience. A protective pad surrounds the springs. Joint: When making furniture, this would be the junction at which two pieces of lumber unite to form a support or make a closure. Knee Hole: A space beneath a desk or dressing table designed to accommodate a person’s legs to enable them to sit comfortably when using the top as a work surface. Knitted Fabrics: Fabrics that are formed by knitting. The interlocking of loops of yarn rather than interlacing two sets of yarn as in weaving. Knock Down Furniture: Also called KD, flat-pack or self-assembly furniture. Refers to furniture that is to be assembled by the end user. Lacquer: A durable varnish applied in several layers to protect furniture’s surface. Finishes can vary from matt to glossy. Ladder Back Chair: A style of country chair with horizontal slats in the back that resemble a ladder. Laminate: Applied covering to boards, which provide different appearances such as colors and grains (see also paper, vinyl). Lazy Susan: A revolving tray or stand of wood or metal. Leaf: A board or panel that is used as a tabletop extension. Some leaves are hinged to the table surface and must be raised to a horizontal position, as in a Pampero or gate-leg table. Other leaves are drawn out from beneath the table surface, as in the draw table. In other tables, the top can be separated and extended so leaves can be placed in the opening. Leather Match: Upholstery that features top-grain leather in the seating areas with skillfully matched vinyl everywhere else. Mantel: The complete facing around the opening of a fireplace, including any shelf used above it as well as any part that projects from the wall. Mattress Ticking: The fabric that covers a mattress. Medium Density Fiberboard (MDF): This is made by breaking down wood chips into fibers, mixing glue, and fusing the resulting mixture under heat and pressure to produce a board. Modular: Furniture constructed in units that can be arranged in different configurations. Molding: Decorative strips of wood applied to furniture for visual effect. Mortise and Tenon Joint: Method of joining two pieces of wood where the projecting tenon of one piece fits into the opening (mortise) of the other. Motif: A decorative design or subject.Motion Furniture Chairs, beds, or sofas containing mechanisms that allow the user to recline or extend their legs. Nightstand: Occasional table, sometimes with cabinet, drawer, or shelf, used beside a bed to hold such items as a lamp, clock, or telephone. May also be called a night table or bedside table. Occasional Furniture: A generic term used to describe small pieces of furniture such as lamp tables, coffee tables or magazine racks. Ottoman: A long, low upholstered seat with no back: used with a chair as a footrest. If over scaled, can be used in place of a cocktail table. Palette: A term used by artists and designers to describe a range of colors. Panel: A surface set off from the surrounding surface by being raised, recessed or framed. Particle Board: Panels that are manufactured by bonding wood particles with synthetic resins under heat and pressure. Used as the core for many plywood panels, as panels to be printed (engraved), or other uses in furniture construction. Also called fiberboard, chip core, hardboard, and medium density fiberboard. Polyester: Parts made from pressed wood and sprayed with polyester material. Plywood: A structural material made of very thin layers of wood bonded together with the grain of each layer, or ply, at right angles to that of the next. Pull: A handle to open drawers or doors of cabinets. Profile: The style of an edge. Proportion: An agreeable or harmonious relation of parts within a whole; balance or symmetry. 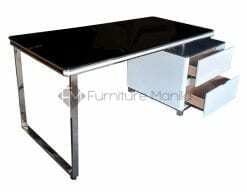 Return: The part of an L-shaped desk that is at right angles to the main work surface, providing additional workspace. Scale: A term referring to the size of objects in relation to each other. Sectional Furniture: Upholstered furniture composed of complementary sections that can be grouped in a variety or arrangements or used separately. Self-Assembly Furniture: Also called KD, flat-pack or self-assembly furniture. 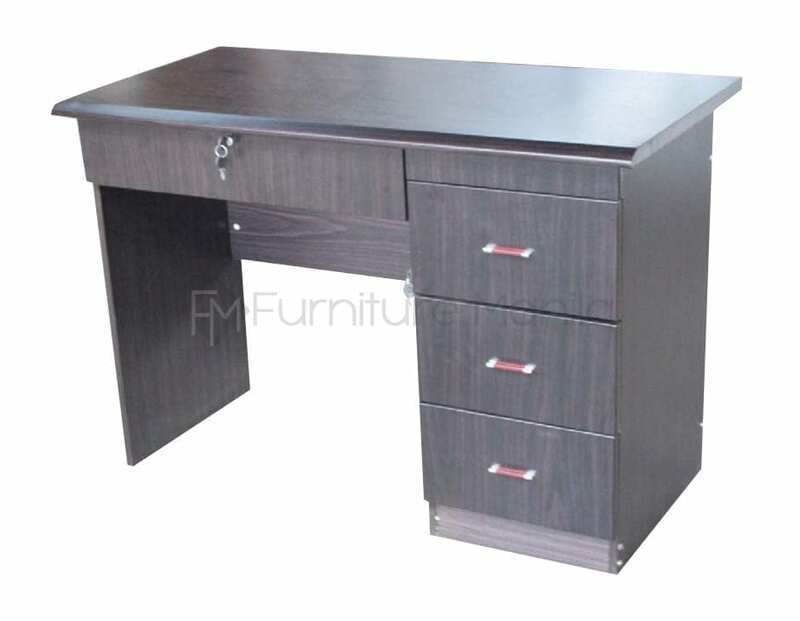 Refers to furniture that is to be assembled by the end user. Sideboard: A buffet or a credenza. A long, waist high piece of furniture used for serving food. The most common arrangement is cupboards below and drawers above.Side ChairA chair with a small seat (15 to 18 inches wide) and no arms. Skirt: A fabric valence around the base of an upholstered chair, sofa, etc., to hide the legs and wood construction of the seat. Slat: Any thin, flat section of wood. Examples are bed slats which are used to support a mattress and horizontal back slats in a ladder back chair. 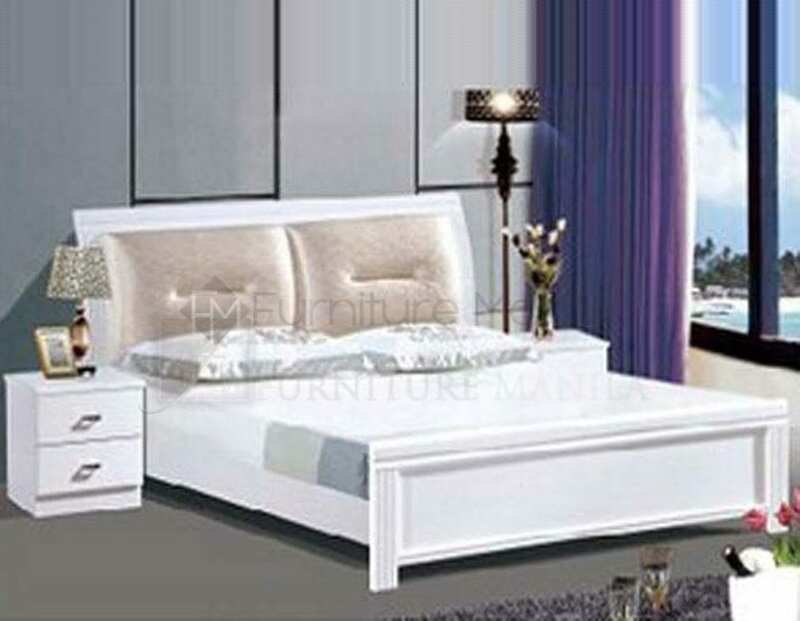 Sleigh Bed: A popular French Empire-style bed having a high scrolled headboard and footboard, creating the impression of a sleigh or a boat (also called “lit bateau” or “boat bed”). Slip Cover: A removable fitted cover made to protect upholstery fabric, cover worn upholstery or to provide a change for a new season. Slip seat: A removable, upholstered chair seat. Sofa: Also called a couch; it is an upholstered seat typically for more than one person. Sofa Bed: A generic term referring to a variety of sofas with mechanisms that allows them to convert from a sofa to a bed. Also called a sofa sleeper or convertible sofa. 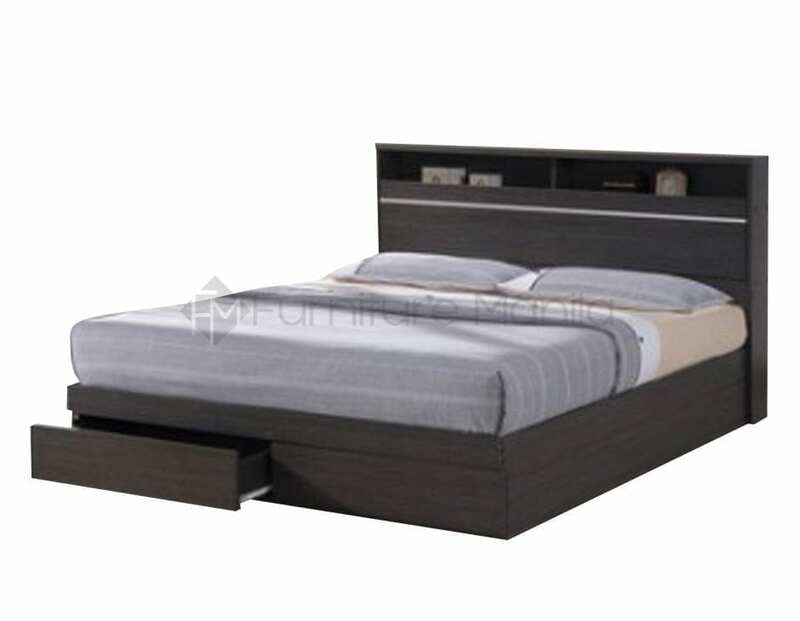 Trundle Bed: Pullout bed on casters somewhat smaller than the bed under which it is set. Upholstery: Generic term used to describe any item of sitting furniture that is covered in fabric. Velour: This is a soft pile upholstery fabric, generally woven in a satin weave or plain weave, resulting in a short, thick pile. Velvet: Formal elegant fabric with fur-like feel and a cut pile. Velveteen: A pile fabric often of cotton or rayon with a short, nappy surface. Veneer: A thin layer of wood cut from a log in such a way as to maximize the beauty of the grain pattern. Veneers are then glued onto a solid substrate, which is then made into furniture. The result is sturdy furniture with a decorative outer appearance. Vinyl: Another type of laminate that is thicker and more durable than paper laminate (see also “laminate”). Wing Chair: An upholstered armchair with a high back from which lateral head rests, or “wings”, protrude on either side.